The future of power supply for our homes? We have not seen many Tesla cars in Dublin yet, but Elon Musk is the man to follow when thinking about powering our future homes. The powerwall just makes sense. Who will be the first Irish developer with a Tesla powered house? It'll happen in the next 5 years. We need 24,000 new homes in Dublin. The BER Certificate regime has engaged everyone in assessing their energy needs. Hopefully Ireland can take the lead in developing new generation housing. Watch to see the arrival of a new Tesla dealership in Dublin in 2016 (they're on the lookout already) and then houses will be next. Watch this guy - a visionary! If Elon Musk's vision of millions of households producing all their own power becomes a reality, it will probably happen first in Germany. But he will face a battle for market share against local firms with years of experience in renewable energy. 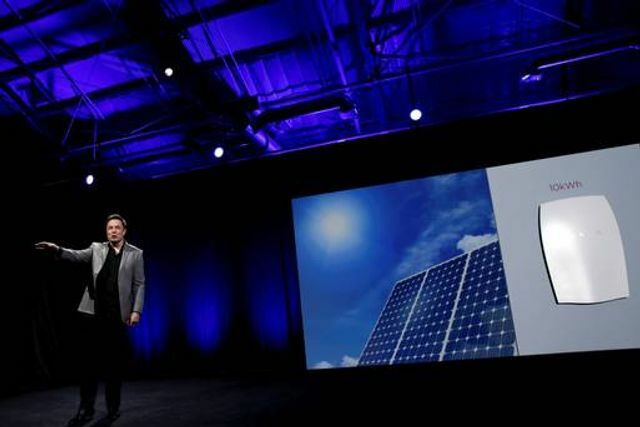 The South African-born entrepreneur's company, Tesla, best known for its electric cars, sparked global interest in the idea of self-powered homes in April, when it said it would start selling lithium-ion batteries for households next year.